What Are Those Things? – Embellishments! Rocaille Beads – Pronounced “rō-ˈkī”. 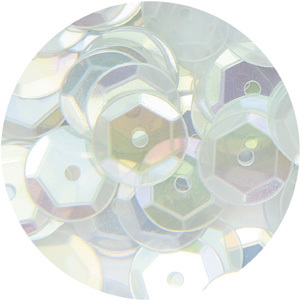 These are small round beads with a silver foil in the center. Also called seed beads, can be sewn on fabric, trim , lace or anywhere you want a little understated sparkle. 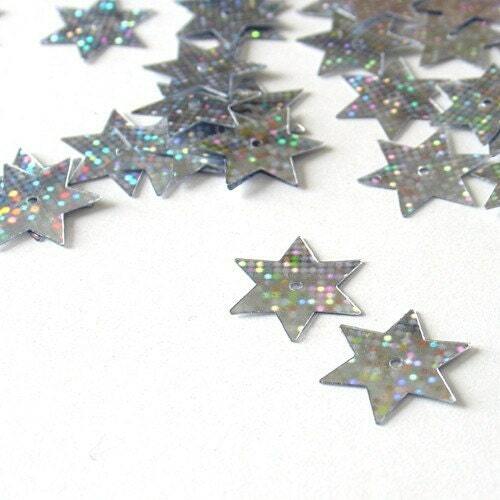 Cup Sequins – flat discs that have been stamped to make it appear to have some faceting. Pailette – Pronouned “Pi-ette “Although not technically a sequin, it is only a formality that separates the two. Pailettes can be of any shape or size but the tiny hole is at the top of the spangle, not in the center. Aurora Borealis or A/B – refers to the light refract in a rainbow spectrum. A/B crystals and sequins are the most popular accent for bridal gowns, headpieces and jewelry. Some are clearer and others are more opaque but, they all have some amount of a rainbow appearance. Tulle – Pronounced “TOOL” – is netting that can be made of silk, nylon, or rayon; used primarily for skirts and veils. There are a lot of terms that will be thrown at you when you first start shopping for your wedding, and you may not know the meaning of all of them. When in doubt, ask. There is no shame in not knowing the term for a square sequin that has a hole on the top instead of the middle and I guarantee you will not be quizzed on it after the wedding! You have seen your parent’s wedding portrait hanging in the house for years. As a little girl, you probably thought your mother’s gown was the most beautiful thing you had ever seen. As a teenage girl, you probably thought it was dated or possible hideous. As a newly engaged woman, the idea of wearing your mother’s gown has probably entered into conversation at least once. She ‘saved’ it, had it heirloomed or preserved in acid-free tissue so that you would one day be able to walk down the aisle in the gown she chose so many years ago. Just a few problems with this scenario: 1) She chose it for herself, not a child that had yet to be born. 2) It probably is dated. 3) You are more than likely not the same size. 4) What if you have sisters? Are you all supposed to wear her gown… all of you wearing exact same gown? Let’s face it – you probably don’t want to wear it. You probably have an idea of how you want to look on your wedding day and it doesn’t involve anything from your mother’s closet. It’s not vintage enough, it’s not retro enough, its just not enough! So what do you do when she brings out the giant heirloom box and starts to talk about how beautiful you are going to look? Be gentle, be kind but, be honest. tell her your exact feelings as nicely as possible. You should definitely try it on, tell stories and laugh! When the time comes, just tell her that you want a different style or color or whatever the case may be. you may be shocked at how easily she takes the news. You see, as a mom, I can tell you that when you save these things for your children you are really saving them for yourself. 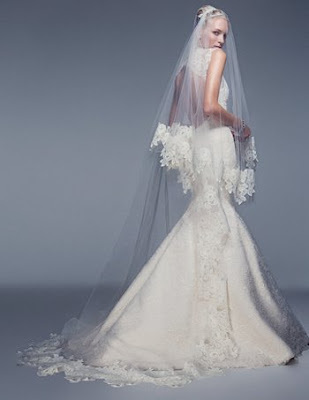 A compromise may be to use parts of the gown for something on your wedding day ensemble. Adding some of her lace to your gown is a beautiful sentiment and it leaves other elements for siblings to use as well. Putting the edge on a handkerchief or using some of the fabric for a purse or to decorate a card box is equally nice. Your wedding gown is probably the single costliest clothing item you will ever own, you will be photographed more wearing this gown than anything else you ever wear, you will hang your wedding portrait in your house and probably keep it in the same spot forever. Whatever gown you choose, make sure to include your mother in the process ( and not just her wallet) so that she feels as special on your day as she did on hers so many years ago. Bridal Gown Shopping Can Be FUN!! If you are one of the thousands of couples getting engaged this holiday season I have something to share with you: For bridal salons across the U.S., the entire month of January is ‘Black Friday’. In fact, if you have even a hint that you might be getting engaged over the Holidays, it might be wise to book an appointment now because on December 26th you might be on hold for a while. LOOK YOUR BEST– Do your hair and makeup – you might want to take a snapshot of the gown you bought. Cell phone cameras and cameras seem to enhance skin flaws and dark circles. Look your best head to toe and you will feel better, after all you are trying on wedding gowns and the better you feel the better you will look. UNDER THE GOWN – Wear your nicest undergarments, heels (the height you plan to wear) and pantyhose if you like. Also if you feel like you might need some extra control, take some spanx with you. SUPPORT GROUP -Your mom, sister, best friend or anyone who will offer support and a reality check but, don;t take too many people or their opinions may drown each other out. Take only the peope who have an opinion you trust. If someone asks to go and you dont want them to – tell them the bridal salon limits the number of people who can accompany you, its actually true in many cases. FIRST TIME’S A CHARM – It is true that many bride’s fall in love with the first gown they try on. This happens when the bride has a clear vision and can verbalize her choice (including budget) to an experienced Bridal Consultant. Your consultant knows the store’s inventory and how each designer’s gowns are cut and priced. If you can get her to visualize your description – you are that much closer to success! PICTURE THIS– Take photos of gowns you found in magazines or on the internet. But, make sure the salon carries that designer. It is your responsibility to do a little homework and find salons that carry the gowns in the styles and price range that you like. Imagine going into a Mercedes dealship with pictures of Toyotas…. CHECK PLEASE– Bring whatever form of payment you will want to use because once you have found a gown that you love, it is time to stop shopping. Salons require a 1/2 deposit to order the gown and the balance is due upon arrival. The deposit is usually based on the entire balance, including tax and extras (extra length, size or custom orders). While you are at it, make sure you read the sales contract thoroughly so there are no surprises. If you show up for your frst appointment fully prepared, you are more likely to have a successful and stress-free shopping experience – it can even be fun!! What is it with Big Box Bridal? A long time ago when a woman became engaged she headed to a small, local boutique and ordered her dress which was nearly made-to-order. Her other option was to hire a local seamstress to create her dream gown. Expensive designer gowns were limited to the mega-rich and superstars. Those small boutiques were based on one thing: customer service. Many times the owner knew the bride, sometimes her whole life and could very easily help her select her gown since they had a personal relationship. For the most part, almost all department stores had bridal and bridesmaids gowns but they began to fade in the 1980’s and by 1990 were almost completely gone. The rare exception to the department store shut-down, Marshall Fields (now Macy’s) expanded the bridal department and has become a Chicago legend with their unique level of customer service and selection of gowns. I cannot speak for the other Macy’s stores but this brand has become synonymous with bridal success in Chicago. Since late 1990’s everything is available at the click of a button on the internet and some brides are quite comfortable buying a gown they have never seen or tried on, in an undetermined size, off of a site that may or may not have any real credentials in order to save money. To me this sounds like a bad idea and I always discourage brides from buying gowns in the internet for one reason – customer service. Plus, we all know you get what you pay for. A few years ago Target tried selling wedding gowns by Isaac Mizrahi. They were priced around $99. I had the ‘honor’ of seeing the entire collection as it arrived in boxes at a media event. The only one I recall was made of what I would consider to be the cheapest fabric I’ve ever seen. The collection lasted about as long as this blog and I doubt if anyone even remembers that belted monstrosity or its similarly cheap counterparts. I am not sure whatever happened to Mr. Mizrahi’s failed attempt to enter into the bridal market but I would guess it had something to do with ….. (wait for it) ……customer service? Recently select Costco stores began selling Bridal gowns at weekend trunk shows. Don’t get me wrong – I love everything about Costco, I’m just not sure that I would want to try on a bridal gown next to a 50 lb bag of dog food and a 15 lb bag of frozen chicken breasts. I saw the gowns and they were lovely but I couldn’t help but think something was missing. What was it? Oh, yeah – customer service. This week when I read the news that Priscilla of Boston is closing all of it’s stores nationwide by the end of the year, my heart sank. Priscilla of Boston has been dressing brides for 65 years from every walk of life – including former first daughter Tricia Nixon who was married in the White House’s Rose Garden (it’s the only Rose Garden wedding to date) for her wedding to Edward Finch Cox. She appeared not once, but twice on the cover of Life magazine in a dress designed by Priscilla Kidder herself. I remember this very well because I was about 10 years old and was so enamored with the gown and all of the trappings, I persuaded my mother to buy the “Tricia Nixon Paper Doll” set for me. My love affair with weddings and bridal gowns began with Priscilla Kidder and Tricia Nixon. So what’s next for Bridal? Will we be seeing bridal gowns stuffed on the clearance racks at Wal-mart next to the team apparel? Hopefully not. If my hunch is correct, this will move brides back into the direction where they came, directly to the bridal salons and boutiques who specialize in service. The same salons who hold trunk shows where you can get the ultimate in customer service by the designer him or herself. The ‘cash and dash’ of big box stores is just not suited for the bridal industry. Brides need assistance. They need ( at a minimum) someone to help them into the gown and more often than not an honest opinion. Anyone in bridal retail will tell you that it is unlike any other form of retail sales. The level of service is so high that consultants are expected to be encyclopedias of information. Bridal Consultants are trained to know about shipping, fit, construction, size, fabric and every single detail of the process…. especially customer service.